I was on a Southwest flight heading to Sacramento last week reading the in-flight magazine. There was an article called “Bourbon Barrels” which stated that in Kentucky the number of Bourbon-aging barrels outnumber the state’s residents by more than 360,000. There are 4.7M aging barrels in use among the commercial distillers. And that in recent years, the popularity of premium small-batch and single barrel products has skyrocketed to the point where the bourbon industry in Kentucky is in its biggest expansion phase since Prohibition. While reading this it reminded me of an online article I had read earlier in the week where company executives for Brown-Forman (Jack Daniels) stated that they’ve seen improvements in liquor consumption at U.S. bars and restaurants. The so-called “out-on-the-town” drinking, a key segment for the spirits companies, had been hurt in recent years by the economy, but with renewed brand development and wider distribution, Brown-Forman stated they are seeing improved net sales growth. Northeast Marine Drive -Portland, OR. It was a quick flight, but I had time to read all two-pages of the Oregonian Business section to learn that John Zupan, 66, died. John was like many of you who read this blog. A person who enjoyed classic cars and motorcycles. 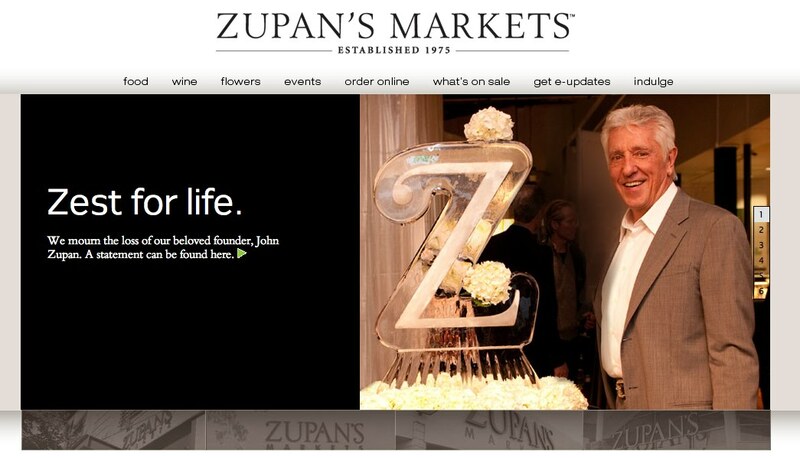 He also was the founder of Zupan’s Markets which makes him a grocery store pioneer. According to my sources he had recently purchased a 2009 BMW motorcycle and was riding it on Northeast Marine Drive when his motorcycle was hit head-on by a motorist. 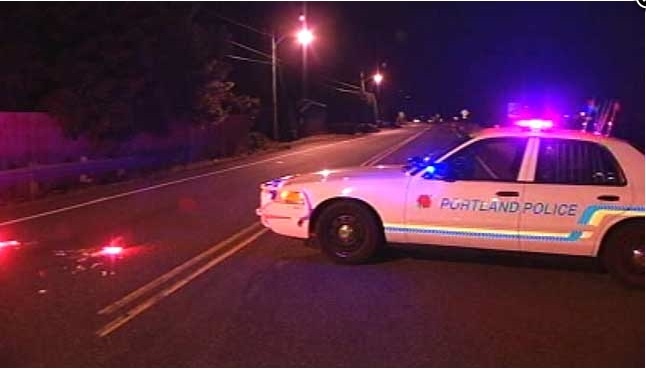 According to Portland Police reports the car was driven by Edy Porfirio Reynoso-Ramirez, age 32. Reynoso-Ramirez was driving a 1998 Honda Civic and was speeding in the eastbound lane of Northeast Marine Drive, driving erratically and passing other vehicles. After the accident Reynoso-Ramirez fled the scene and tracking dogs were used to locate him hiding in an industrial area. Reynoso-Ramirez was booked into Multnomah County jail with allegations of assault in the second degree, failure to perform the duties of a driver, DUII and reckless driving. In addition, U.S. Immigration and Customs placed a hold on him. 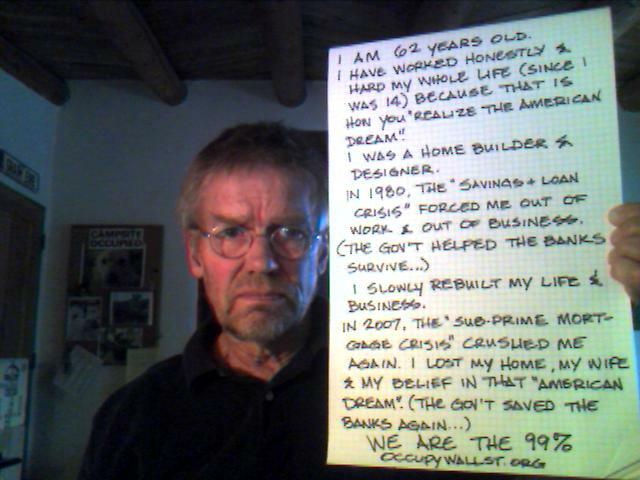 This is a very sad story. One that occurs to often (drunk drivers (some being undocumented)) and is not easy to get use too. For some topics, particularly on public health and immigration, summaries are dangerous because they can create the idea that a single or simple solution exists when it’s always more complex. However, for those who say that the status of the driver is irrelevant, I beg to differ. 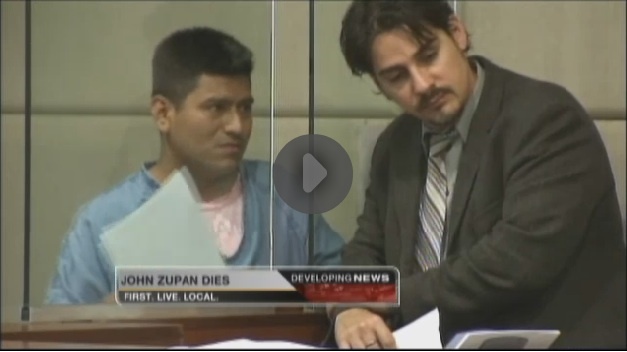 If Reynoso-Ramirez were not here illegally, Mr. Zupan might well still be with us. In Oregon like most all other states acceptable PROOF of residence is a requirement for a drivers license. It’s unclear if Reynoso-Ramirez has ever been checked to see if he even knows how to drive or if he can even read the road signs? Lastly, by the nature of his illegal status, there is an implied disregard of U.S. laws so, why not drink and drive? It’s a third world corrupt behavior and one that is problematic. I’m sure there is a lot of blame to pass around for this accident. The DMV is at fault for lax documentation measures. The spirits industry for its continual drive of seeing improved sales or the retail outlet for selling the spirits. It’s the governments fault because they are lax on immigration. Geez, even President Barack Obama’s family is embroiled in a similar matter. His uncle, Onyango Obama, an illegal immigrant was charged with drunken driving in Framingham, MA. He was ordered by an immigration judge back in 1992 to leave the country, but for some reason just hasn’t gotten around to it. Onyango, who’s from Kenya, is the half brother of the president’s late father and has pleaded not guilty to operating under the influence of alcohol and is being held on an immigration detainer. Sadly, drunk drivers come in all shapes, sizes and citizenship status’. 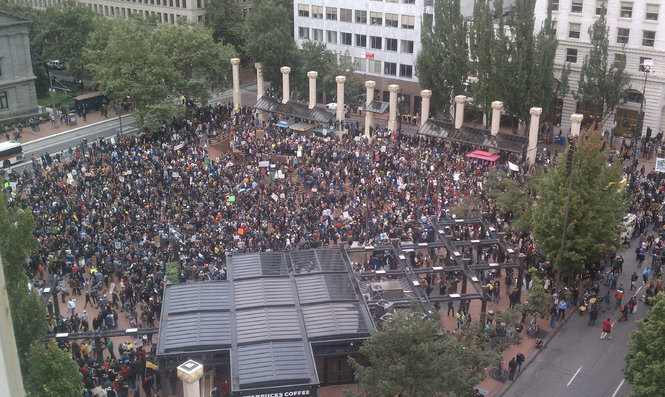 I anticipate that this accident will be placed on the back burner by the Oregon media or law makers as to avoid having any debate over illegal immigration and any associated issues. What’s worse is that many people out there – especially insurance companies- consider motorcycle accidents, even when the motorcycle rider is NOT at fault, the “cost of doing business” and that motorcycle riders have essentially assumed the risk of getting hurt. Many non-motorcycle riding members of the pubic, in fact, assume that anyone who rides a motorcycle is asking for trouble and if they do get hurt, well then that is the riders fault even if the rider did nothing improper. 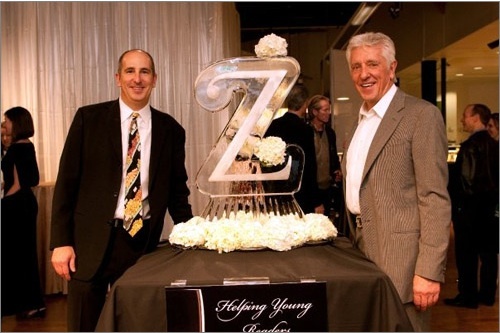 My sincere condolences to the Zupan family. 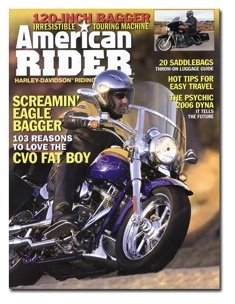 Launched in 1994, the “American Rider,” a bi-monthly magazine which targeted Harley-Davidson enthusiasts is folding. The June issue will be its last. Advertising is way down, newsstand sales are minimalistic and subscription rates are falling. As a result the Affinity Group (Ventura, CA) reported their intention is to fold the content into the sister magazine “Rider” which reportedly has a monthly circulation of 140,000. An on-line presence will continue, but three staff positions were eliminated due to the closure. Hopefully they’ll retain Clement Salvadori who is a contributing author with high quality and interesting articles. 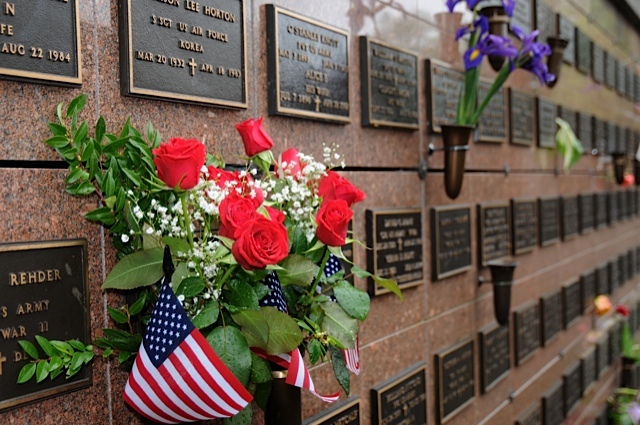 The demise of American Rider has plenty of company. According to this report there were 367 magazines which shutdown in 2009 and 67 went on-line only. This number is much improved from the 526 magazines that closed in 2008 or the 573 magazines which closed in 2007. According to this site which tracks magazine “death pools”, even the all powerful EasyRider and V-Twin publication were caught in combining their circulation numbers as “real” to advertisers and neglected to mention the blending. It’s not just magazine publications. One day I expect to open my front door and find a booklet with 4 tiny little pages. 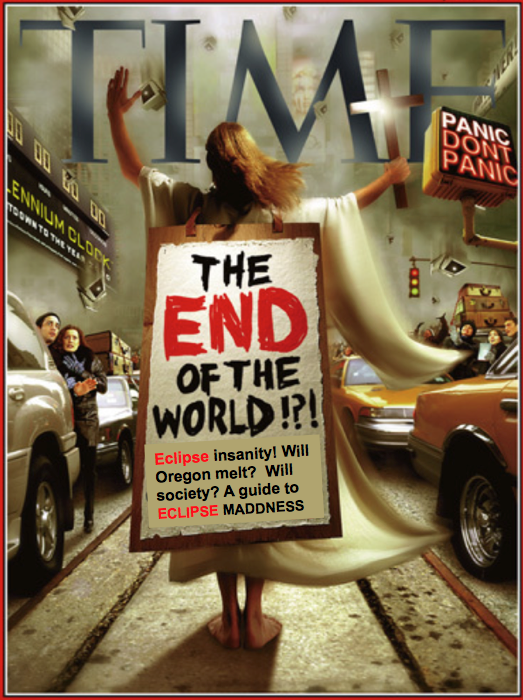 This booklet will be known as The Oregonian. It could well happen to the New York Times or Los Angeles Times. They’ve all shrunk the height, the width…got rid of so much material that many question why newspapers are necessary. The Rocky Mountain News is gone. The Seattle Post-Intelligencer, gone. 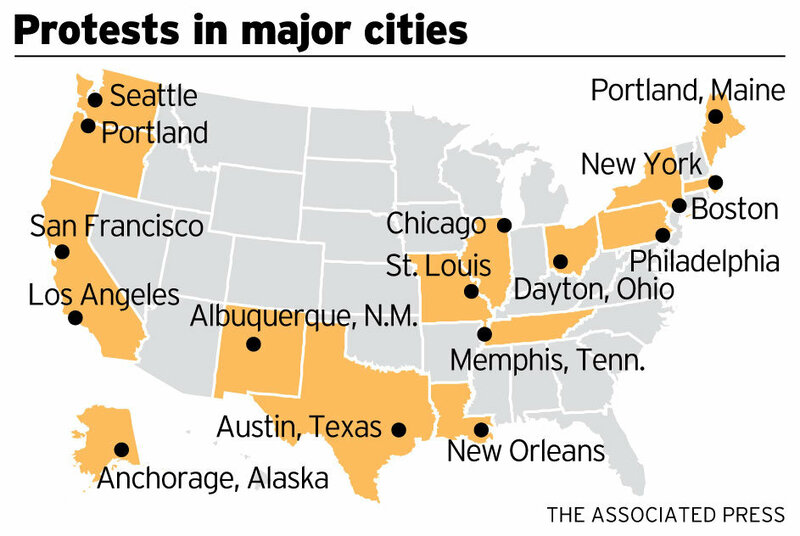 In fact, since January 2008 at least 120 newspapers in the U.S. have shutdown. More than 21,000 jobs evaporated. Be it magazines or newspapers, part of having freedom of the press is the freedom to let whoever is producing the best information be heard. If that is bloggers then so be it. To narrow down the parameters of what counts as “the media,” is restricting the press. There is nothing that states that the NYTimes or NBC are valid news sources and for example the Cyril Huze blog is not. The validity of a news source is based on their reputation of having produced accurate and responsible results in the past. Reputable bloggers know this and work hard to abide. Publishers will either need to change and accommodate the way people want their news, or fail. That is the way the market works. Photo courtesy of American Rider/Affinity Group. Ah-riding. I know it’s a great way to unwind after a hectic work day. But, why not combine a little riding pleasure while at work during the day? I was enjoying a smoke break at work and reading the HOG Tales Magazine wondering who is behind this glossy publication at Harley-Davidson? 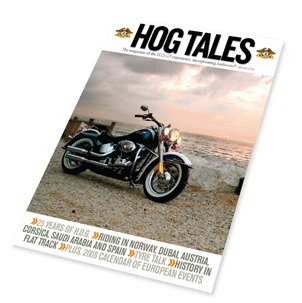 HOG Tales Magazine is multi-language magazine and mailed to more than 1 million members of the Harley-Davidson Owners Group (H.O.G) around the world. A subscription to HOG Tales, is included for all full memberships. The inside cover states Christine Adamavich is the Editor, but like so many things these days in corporate America the customer-facing communications and media tactics are “outsourced” to hired guns in the publishing business. With a little research I learned that the U.S. version of the magazine is produced by GS Design, a Milwaukee-based design firm specializing in graphic design, web and multimedia. 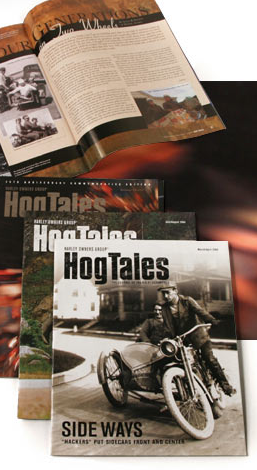 GS Design has been working on HOG Tales since 1996 and provides the graphic design as well as much of the content. 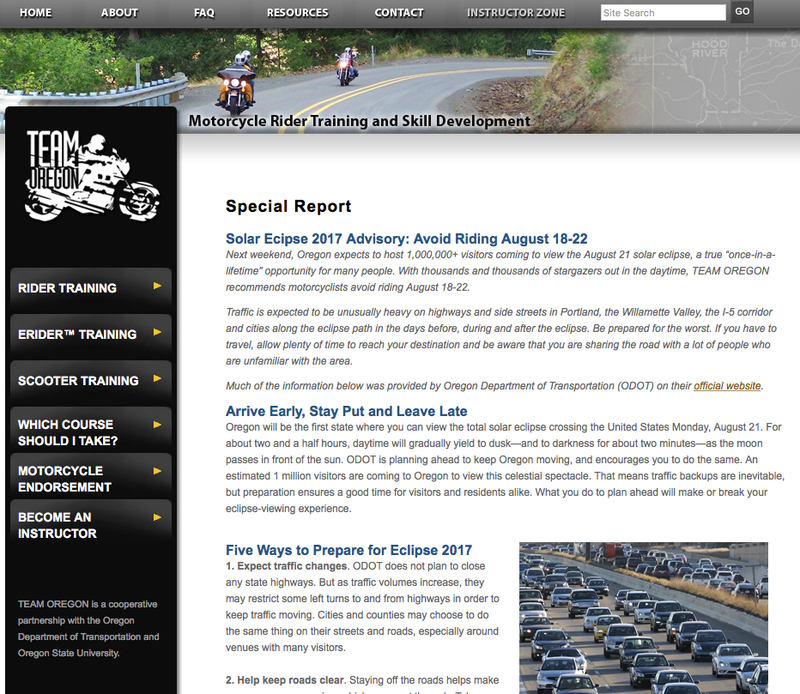 They also do a lot of Harley corporate communications ranging from Annual Reports to multi-color dealer briefs, online content and model information. In Europe, the publishing arm of Archant LLC (Archant}Dialogue), a family-owned business since its inception 160 years ago and one of the UK’s largest independent media businesses publishes the HOG Tales magazine. Quite simply they do it all from planning and research, to creating and commissioning content, editing and design, selling advertising space, printing, distribution and marketing. The Archant Dialogue team manages all aspect of the publishing cycle and distributes to more than 100K members across Europe in six languages. The Archant Group is the UK’s leading independent publisher and beside the HOG Tales have many specialist magazines and they also publish 90 daily and weekly newspapers. There you have it. The companies behind publishing HOG Tales and allowing you to reconnect to riding while behind the office desk!